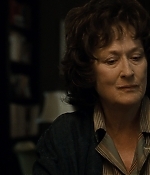 “August: Osage County” has been released on DVD and Blu-Ray today in the USA. If you haven’t seen it yet, or want to revisit Meryl’s latest Oscar-nominated performance, be sure to grab your copy. Screencaptures from the Blu-Ray have been added to the image library with many thanks to Lindsey. Three more videos have been added to the video archive. There’s a behind-the-scenes look at Jimmy Kimmel’s Academy Awards Special, featuring interviews with Meryl, Tom Hanks, Christoph Waltz, Gary Oldman and many more. Then, there are two videos from the “August: Osage County” promotion in Paris, including the film’s premiere and the full press conference. Many thanks to Tena for the heads-up on the Kimmel clip. Enjoy watching. 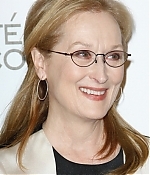 Many thanks to Beatrice for bringing this to my attention: During her visit in France to promote “August: Osage County”, Meryl Streep attended the French television show 20h Week-End to talk about the film and the Oscars. It’s a pretty bumpy interview, maybe because of its editing and the translation – and I still don’t understand the lenghty Maria Callas clip. But see for yourself. The full interview can be watched in the video archive. Captures have been added to the image library. 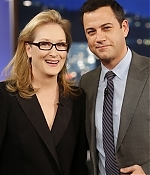 Yesterday, Meryl Streep attended Jimmy Kimmel Live! 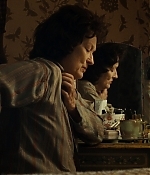 to promote “August: Osage County”. As a change to the recent ones, this is a rather lenghty and informative interview. 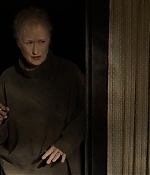 Besides “August” and living in a condo with her co-stars while filming, they talk about Paul McCartney’s “Queenie Eye” music video, Meryl’s visit to the Beatles concert in the 1960s. The full interview can be watched in the video archive. HD screencaptures have been added to the gallery. In other news, Meryl has been announced among the presenters for Saturday’s Screen Actors Guild Awards, so we’ll see her on stage, winning or not. Also, expect more updates after tonight’s Critics Choice Awards. Edit: Many thanks to Claudia for sending in some fantastic pictures from the taping of the show. I am so happy for our film that Julia and I have been nominated. 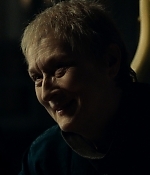 We are both so proud of August: Osage County. This honor from the Academy, for which we are truly grateful, will help bring attention to our film from audiences across the country, which is thrilling. Great news from the talkshows circuit. 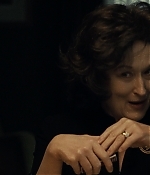 Tonight, Meryl will be a guest on Jimmy Kimmel Live (11:35/10:35c on ABC) to talk about “August: Osage County” and on Monday, she’ll be attending the Ellen DeGeneres Show. Tomorrow will be a busy day as well – the Academy Award nominations are announced and the Critics Choice Movie Awards take place. So, check back for more updates tomorrow. First of all, a couple of additional pictures and screencaptures from the Golden Globes have been added. Then today, Meryl and the cast of “August: Osage County” has attended a Q&A at the SAG Foundation. The cast has received a SAG nomination as Outsanding Ensemble. 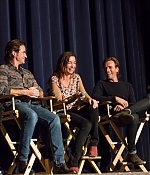 Pictures from the Q&A have been added to the gallery. The video will be added as soon as it becomes available. 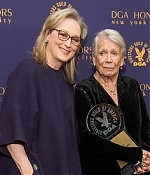 Videos from yesterday’s Q&A with Meryl and Margo Martindale at the DGA Theater in Los Angeles, as well as a full video of the “August: Osage County” press conference in New York back in December, have been added to the video archive. Enjoy the new clips.